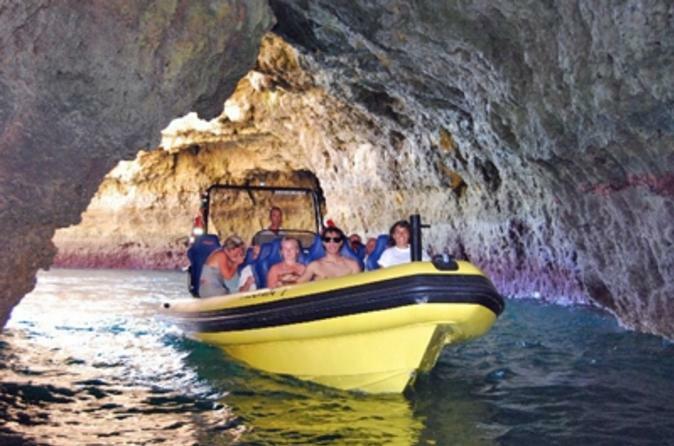 Your Caves and Dolphin Watching Cruise begins at the new marina of Albufeira where you will board the boat "Insonia". 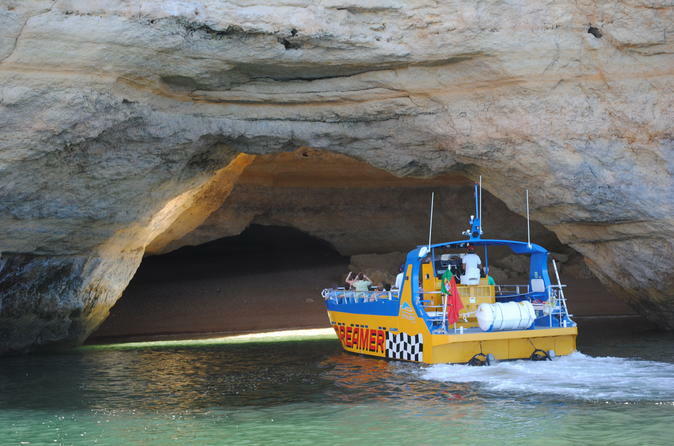 Cruise along the Algarve coastline between to the Beach of Carvoeiro passing spectacular rock formations on the way. Find a comfortable seating place in the mid-deck or the shade of the aft deck as you commence your cruise from the new marina of Albufeira. 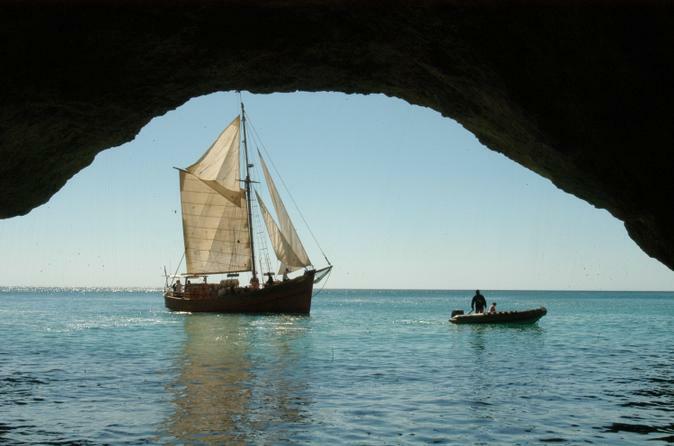 You have the choice of a half day cruise visiting the caves on the spectacular Algarve coastline or a 2-hour Captain Hook cruise. 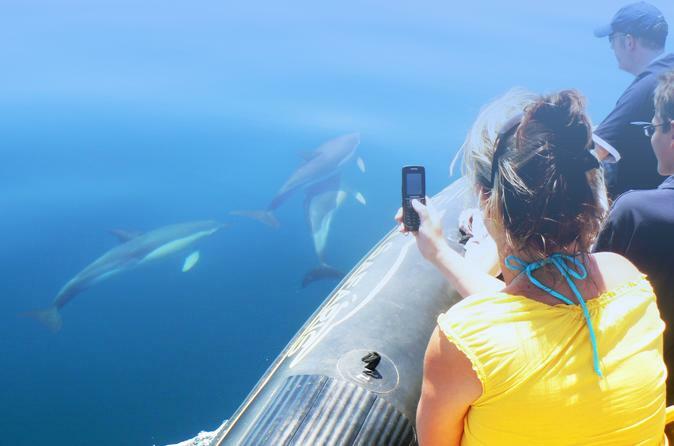 On both itineraries it is possible to view dolphins from the boat or even take a swim! 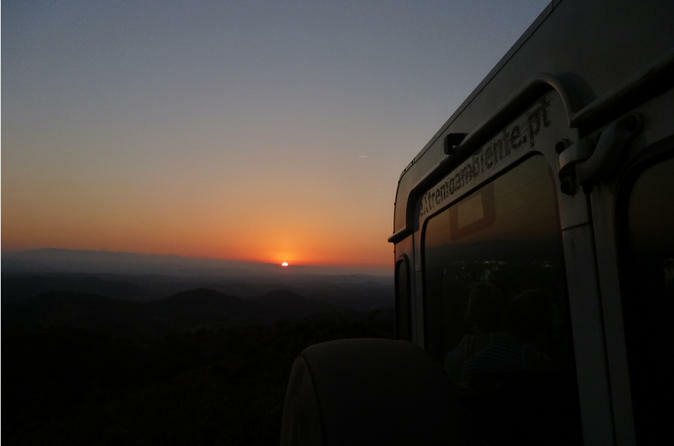 Discover a hidden Algarve aboard a 4wd Jeep "off the beaten tracks" in the Algarve countryside. 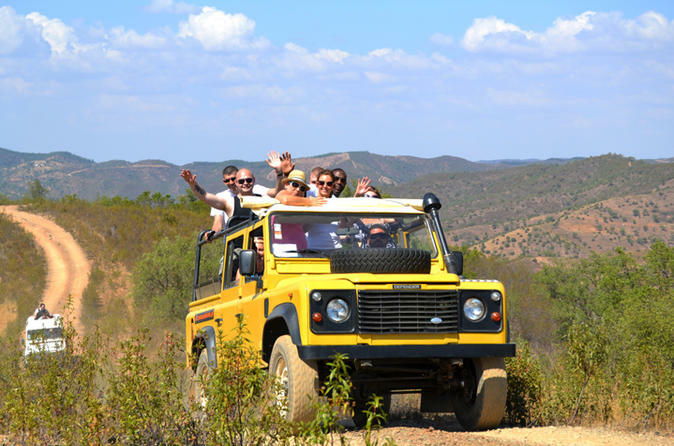 This tour highlights the most beautiful landscapes, regional architecture and gastronomical tastes of Algarve. One of the can't-miss experiences of this tour is the gastronomical tasting of honey, and licours as well as the visit of an old firewater distillery and tasting of the famous Medronho drink. Discover the deepest Algarve through off-road tracks, refreshing streams and old villages where time has stopped. 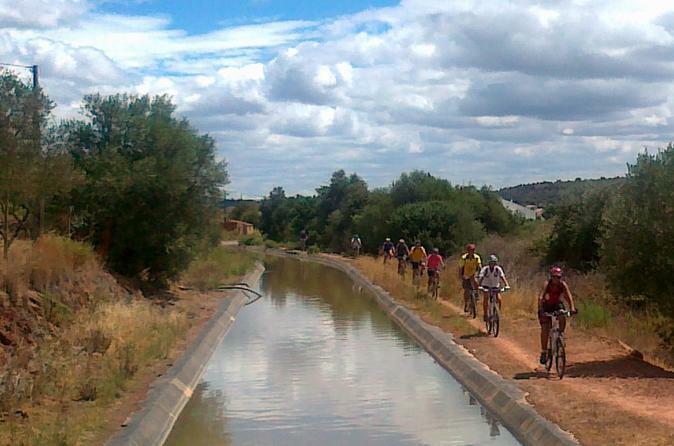 This tour highlights the most beautiful landscapes, regional architecture and gastronomical tastes of Algarve. One of the can't-miss experiences of this tour is the gastronomical tasting of honey or jam, as well as the visit of an old firewater distillery and tasting of the famous Medronho drink. 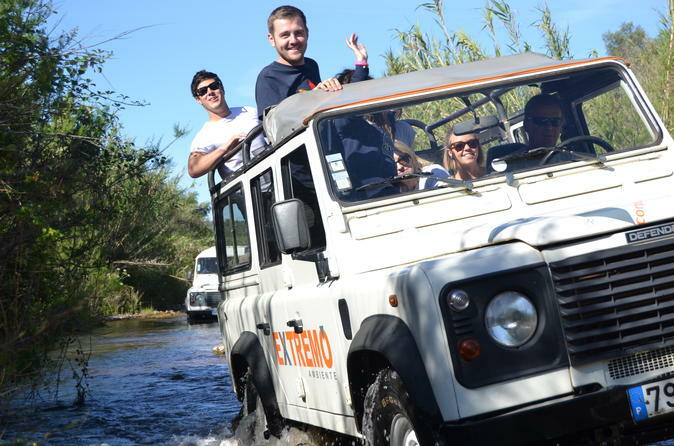 Live a world of emotions on this trip to the deeper Algarve, an off the beaten track tour visiting unique spots. Come and fly with a professional crew that will take you on a real 'high flying' experience. Take off and land back on a specialized and custom boat. 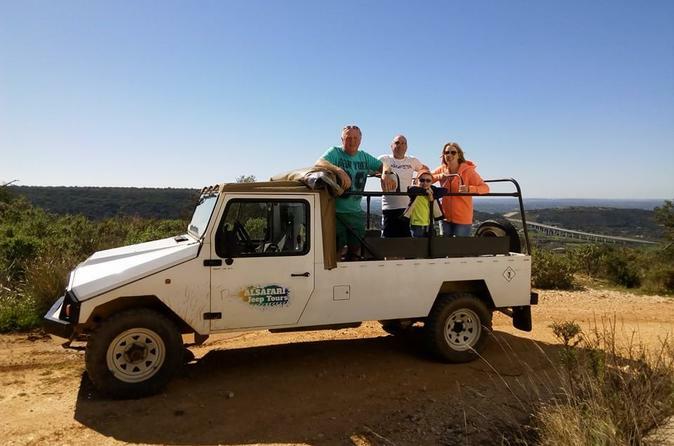 During the morning or in the afternoon cross picturesque villages, orange groves and dense forests of cork oak, know the true essence of the Algarve.An adventure off road in 4×4 vehicles driven by experienced professionals. Enjoy the sublime panoramic views along paths traversing hills and valleys, visit a arab castle and swim in a local river.Learn the culture, stop in a local farm to try the local firewater, licours and homemade honey. A fun and memorable experience for families, individuals and groups! Discover the deepest Algarve through off-road tracks, refreshing streams and old villages where time has stopped. 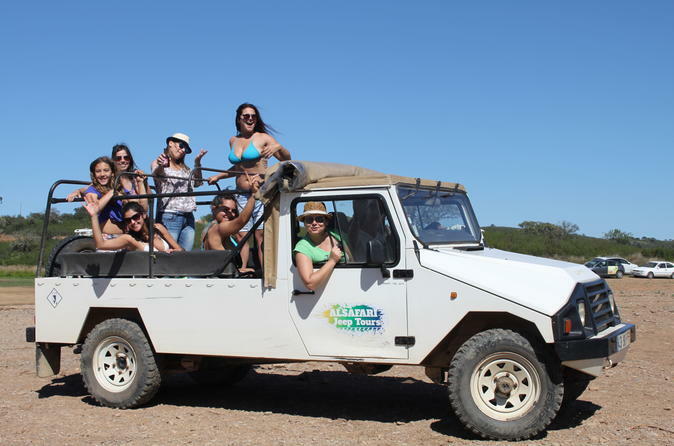 This tour highlights the most beautiful landscapes, regional architecture and gastronomical tastes of Algarve. One of the can't-miss experiences of this tour is the gastronomical tasting of local products and tasting of the famous Medronho drink. Kids will love this high-speed adventure! 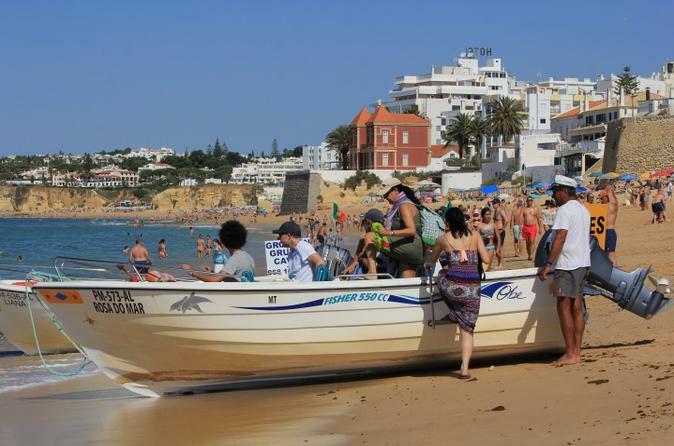 Zip around the waters of Albufeira on an exciting 30-minute jet boat ride. Driven by an expert captain, the boat speeds, spins and splashes, so be prepared to have fun and get wet while enjoying views of Portugal’s scenic southern coastline. 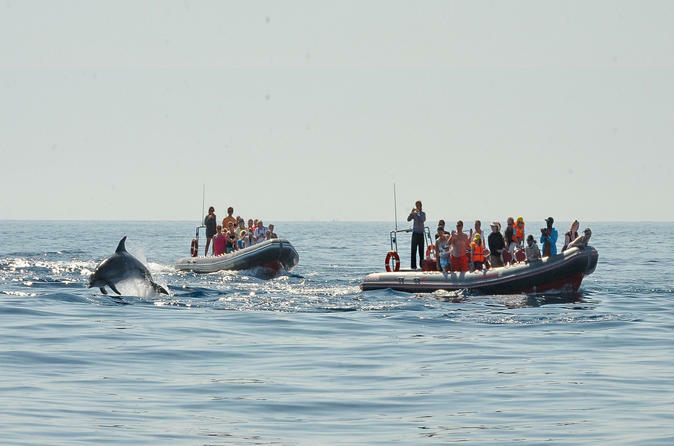 Join this 2-hour boat trip to see the dolphins and caves in the Algarve. Get so close you actually feel like swimming with the dolphins. 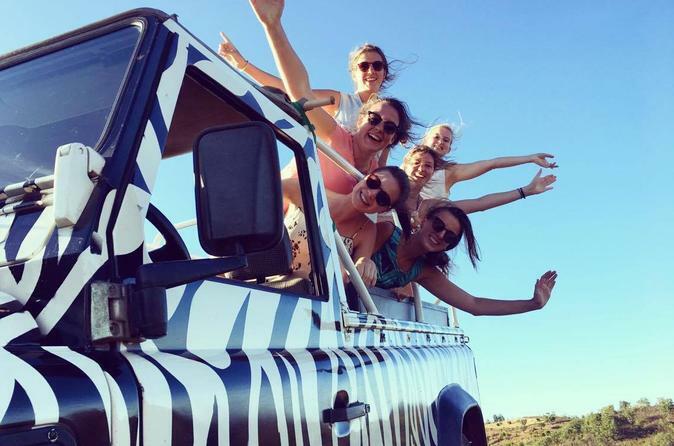 Experience an unique journey to search for these magnificent creatures in their natural habitat, then head west towards the amazing caves, rocks formations and beautiful algarvian coastline. Have a fantastic experience with family or friends on this half-day fishing trip. You will be certain to have a great time, lead by an experience crew that knows just where to go for that once in a life time catch. 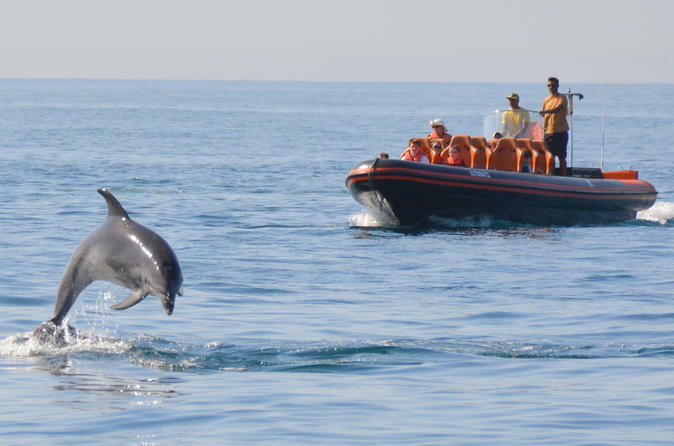 Sail along the coast of Algarve and search for dolphins in their natural habitat. This 2.5-hour, family-friendly tour cruises to beaches and caves before stopping for a refreshing dive in the clear waters of the Atlantic Ocean. On board a 47 seater jet powered vessel you and your family can enjoy moments of fun. 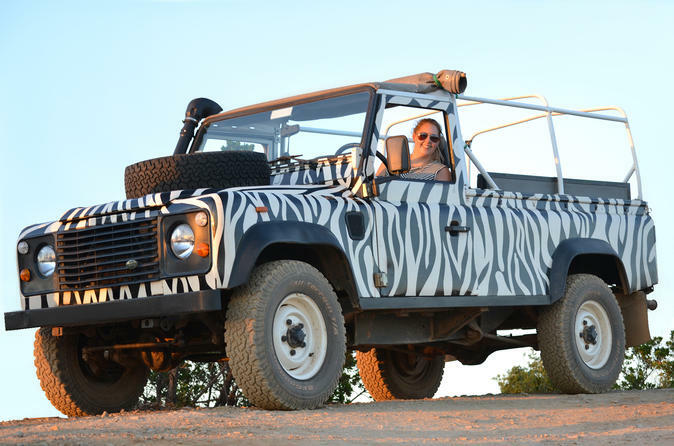 The crew has many years of experience so you are guaranteed a knowledgeable and exciting excursion. 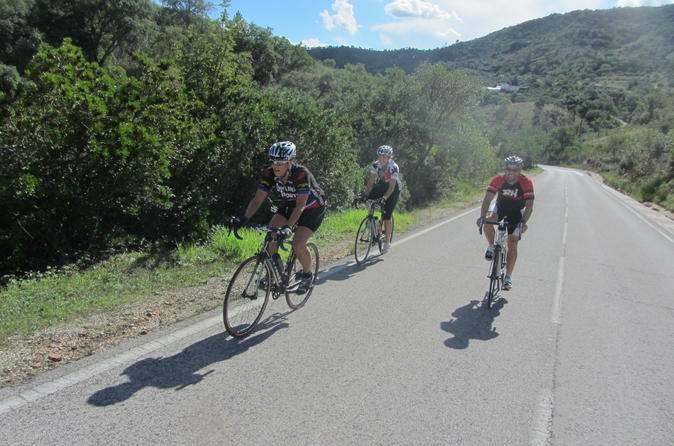 We can tailor tours to suit varying cycling fitness and abilities and, wherever we take you, we can promise some stunning scenery. From the dramatic cliffs along the coast to the hilltop villages and sweeping farmland, you will soon be away from the hustle and bustle of ‘tourist town’ and you can lose yourself in the peace and tranquility as you free wheel along quiet country roads and through sleepy hamlets. Go beyond Algarve at the surface and go on an in-depth exploration of this beautiful Portugal city. Ride off the beaten track for a tour that visits some of the city's most unique spots. Have a fantastic experience with family or friends on this full-day fishing trip. 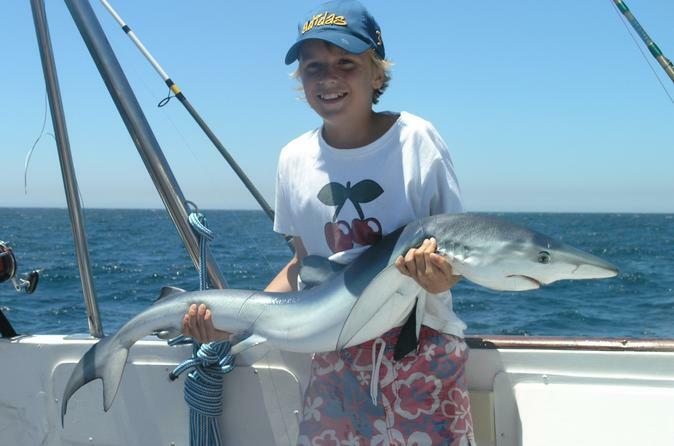 Whether reef fishing or shark fishing, you will certainly have a great time. You will be led by an experience crew that knows just where to go for that once in a life time catch. 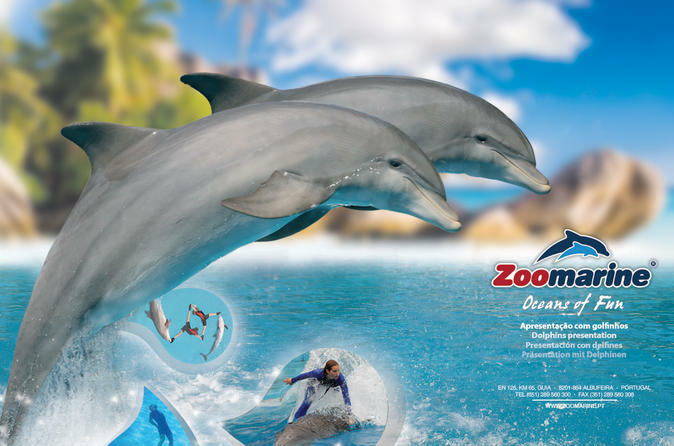 Visit Zoomarine in Guia for an up-close look at wildlife of all kinds. With this entrance ticket, you can watch presentations with dolphins, seals, sea lions, tropical birds, and birds of prey, and explore the aquarium with sharks and other sea habitats. A Cinema4D and swimming pool are also available. 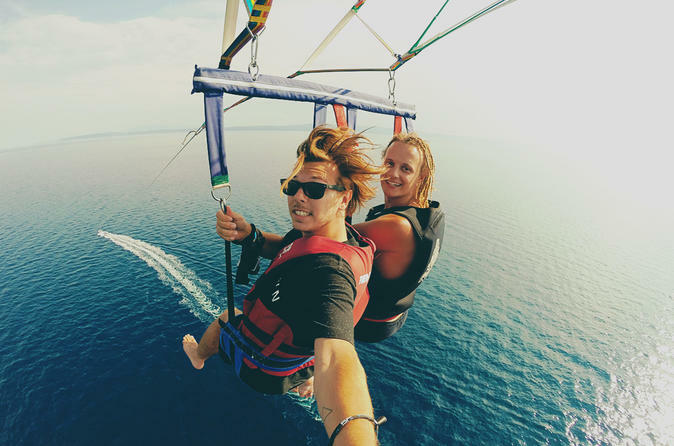 Take flight on a private parasailing ride from a custom boat. 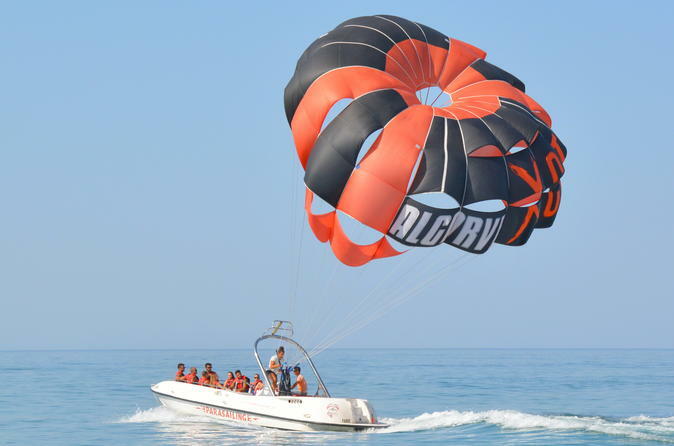 Enjoy an hour out on the water including 10 minutes to see the Algarve coastline from the air. Bring friends and family of all ages for solo, tandem, or trio flights with your expert crew to assist along the way. Hop on a Jet Ski for a fun ride along Portugal’s Algarve coast! 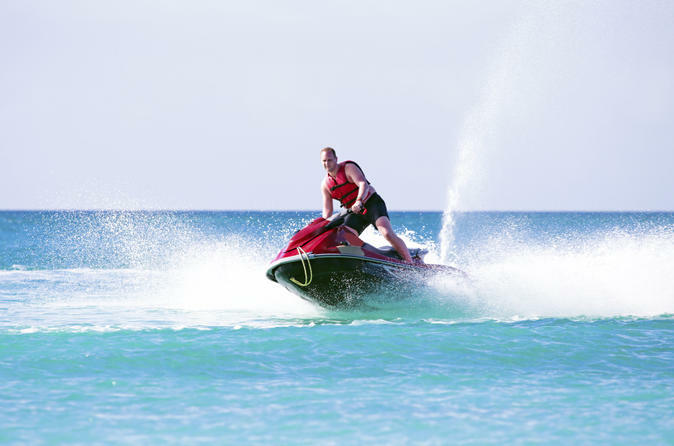 After renting a Jet Ski at the Albufeira Marina, power across the water on an exhilarating 30-minute journey. This Jet Ski rental is a great way to get out on the water, explore the shoreline and enjoy a little adventure with the family. Life jackets and a safety orientation are included. 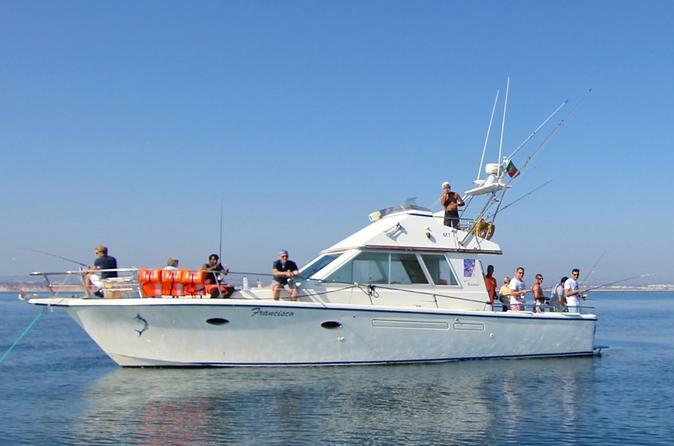 Enjoy this shark fishing trip with an award winning captain on-board the professionally equipped boat (carries a maximum of 10 passengers). Increase your changes to catch a blue shark, mako shark, and hammerhead shark, all of which are found in the spectacular Atlantic Sea. With the help of superior tackle, equipment, and fresh bait provided on the boat, you are guaranteed to experience the a trip like no other. High definition video equipment will record that catch and leave your friends speechless as you reel in a shark! Try this new amazing experience. 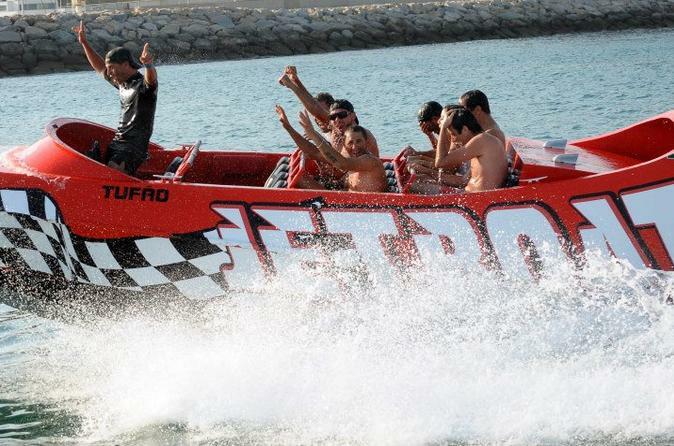 Feel the adrenaline rush on this 30 minutes Jet Boat adventure. 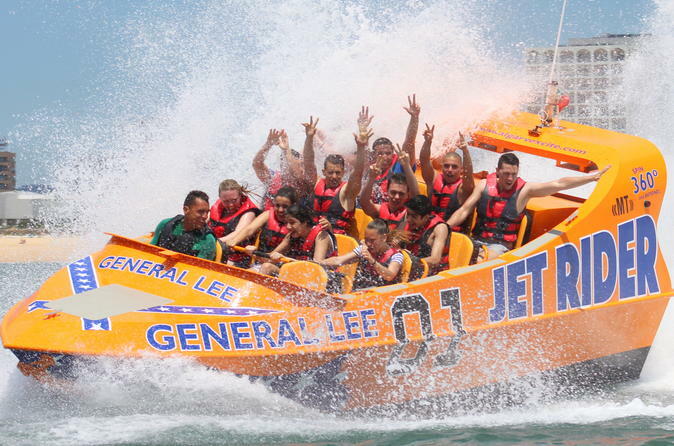 Try General Lee boat and enjoy the wind in your hair during this roller coaster ride while an experienced captain performs spins and power break stops. Add a little excitement to your holiday. 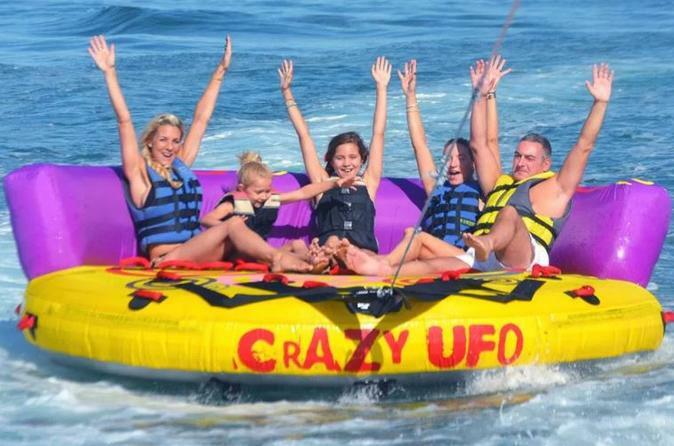 Have great fun with a ride on the Crazy UFO inflatable boat. Enjoy the experience with your friends or family, guided by a professional team. Choose from a 15 or 30-minute option. 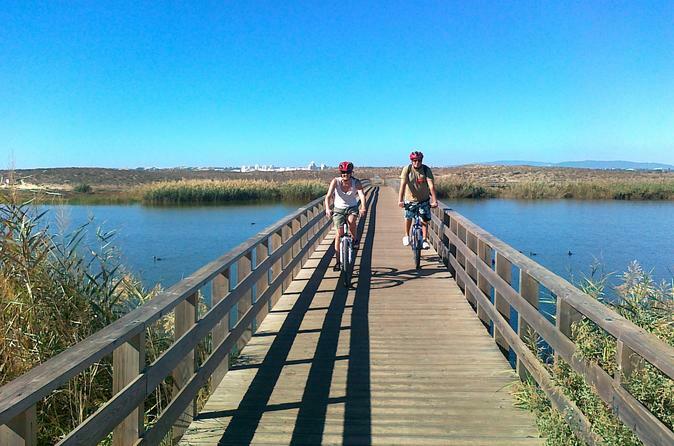 Join us on a 2-hour tour of the Faro District in Portugal. 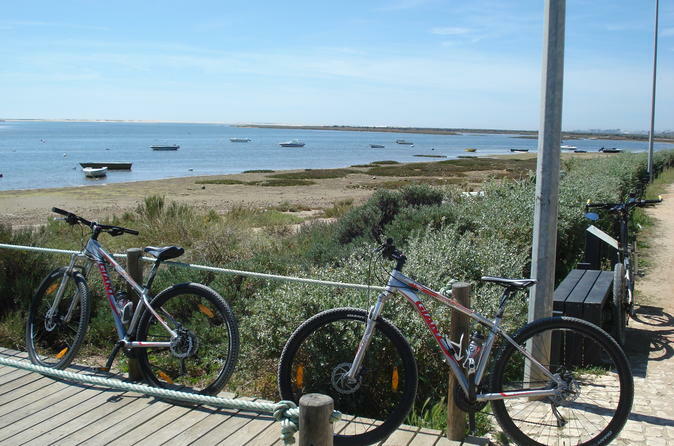 Walk along Armação de Pera promenade and see fishermen houses and nature. Experience the natural beauty of Portugal with sights of trees and the beach. 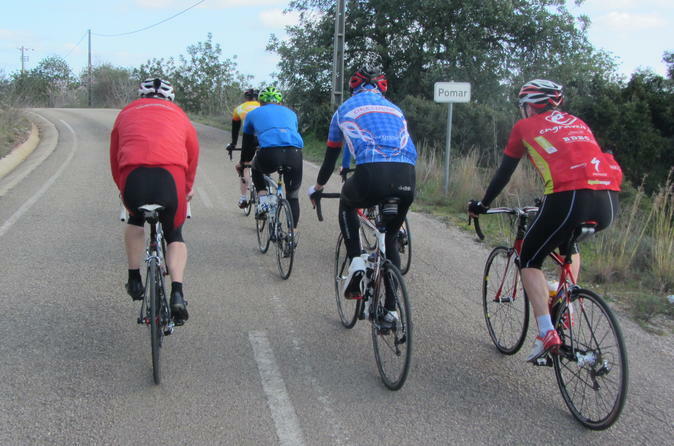 Starting in the popular tourist town of Albufeira, this road bike tour takes in spectacular coastlines, cliff top views and picturesque unspoiled traditional Algarvean countryside. A tour of scenic contrasts with some challenges along the way, but a tour that you are sure to enjoy. Discover the deepest Algarve through off-road tracks, refreshing streams and old villages where time has stopped. The most beautiful landscapes, regional architecture and gastronomical tastes of Algarve. One of the musts of this tour is the gastronomical tasting of honey or jam. 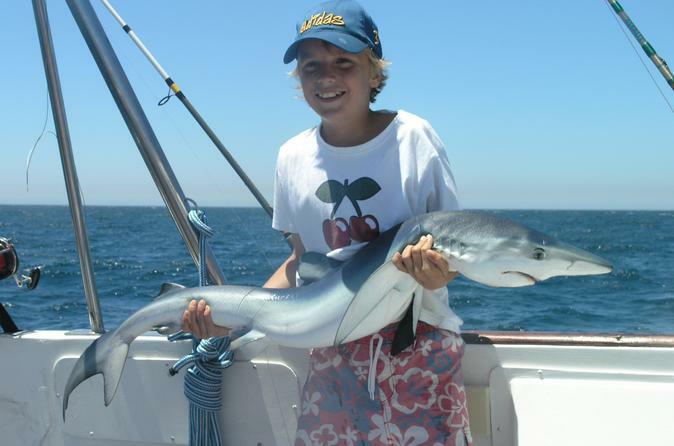 Bring your your family or friends, and enjoy our full or half-day private fishing trip. 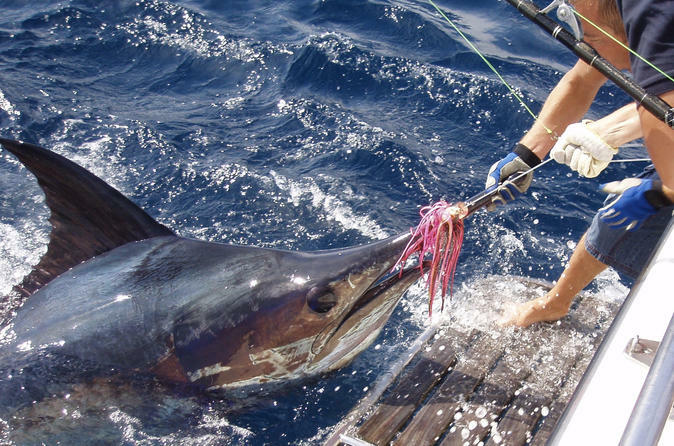 Whether it is reef fishing, big game fishing or shark fishing, you are sure to have a great time. Our 30 years of experience in these waters mean that our professional crew know just where to go for that once-in-a-lifetime catch. 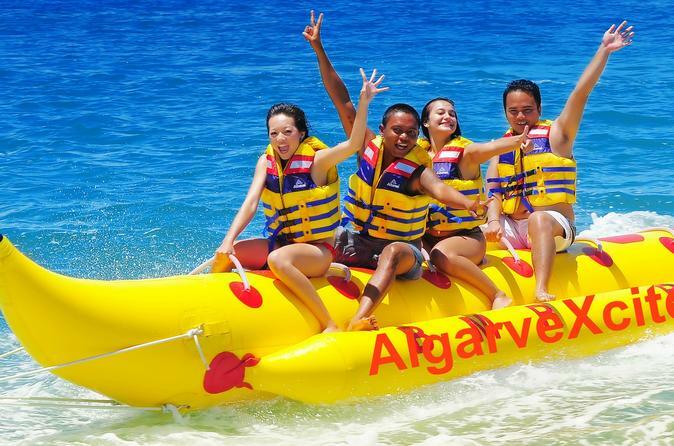 Splash around with your family or friends on a thrilling banana boat ride! 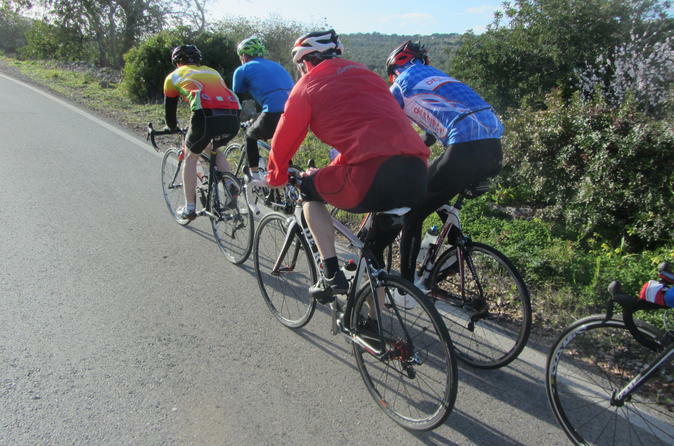 Whether you're a total beginner or an experienced rider, a professional team is there to supervise and ensure your safety on the water, as you experience Portugal on this fast-paced adventure atop the Algarve Sea. Rides last for 15 or 30 minutes, depending on the option you choose. 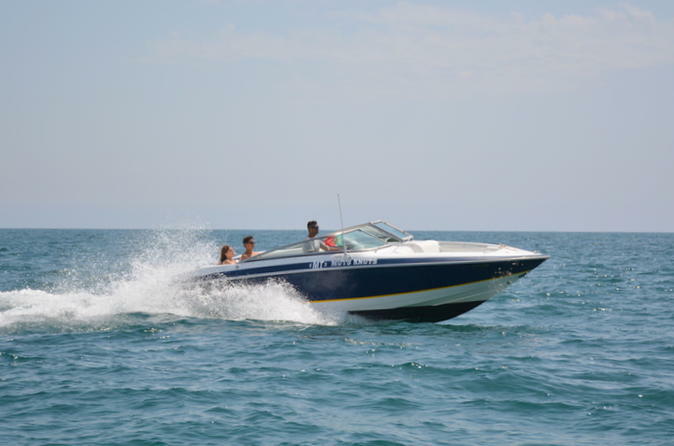 Rent a private speedboat with a crew for the ultimate vacation experience in the Algarve. Cruise from Albufeira along the Algarvian coastline; try wake boarding, water skiing, or ringo rides, and relax in the knowledge that you are in the capable hands of an experienced crew member.